The Top 10 toughest bike rides list was taken by Lonely Planet. These are top 10. 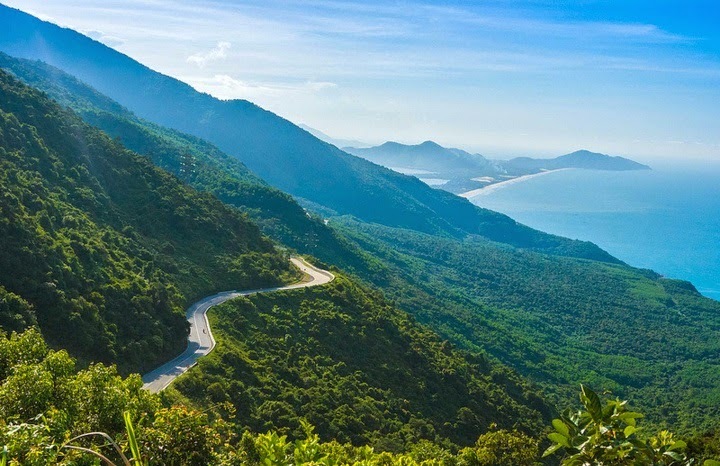 Ho Chi Minh to Hanoi, Vietnam: The bike trip begins from lush plain of Mekong Delta, winding through stunning mountains around Da Lat, with hard climb through the Hai Van pass, then reaching Northern mountainous provinces. Besides absolutely abrupt routes, the searing tropical heat will make cyclists drop back into state of endless water refill. Travelers indulging in Vietnam cycling usually challenge themselves to take a biking Ho Chi Minh trails - the Vietnamese famous historical road. Active Travel Asia (http://activetravel.asia/) also recommend travelers exciting motorcycling tours (here) on this road. Col du Tourmalet, France: This extremely abrupt distance on the Pyrenees’s highest road is a classical Tour. Starting in 1910, it has been included than any other pass on Tour de France – the famous three-week race. Arriving Col du Tourmalet is possible from two directions. The classic route from the west is 19 km in length, reach a hard climb of 1,404 m. The gradient is up to 7.4%. 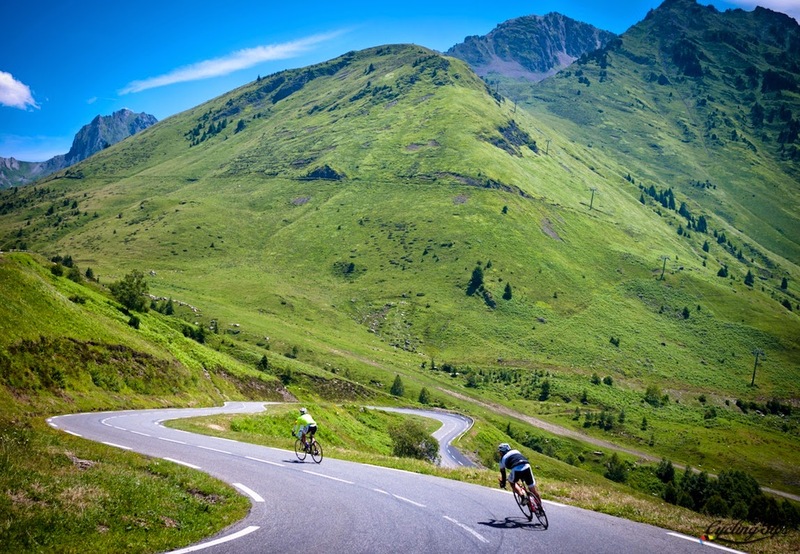 L’Alpe d’Huez, France: This Alpine epic hauls around a seemingly endless series of hairpin blends stretching consecutively 13.8 km on the L’Alpe d’Huez mountain near Paris, will make cyclists choke. 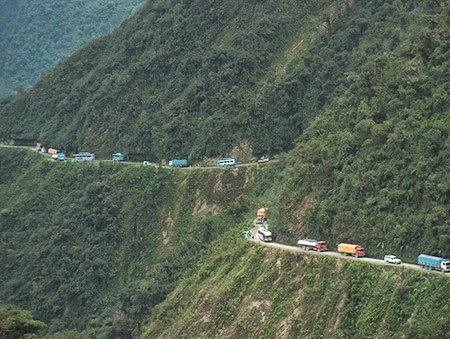 El Camino de la Muerte, Bolivia: As a hard challenging road, “El Camino de la Muerte” means “Road of death”, which sounds less horrifying in Spanish. This bike trip just for pro-cyclists descends a precipitous mountain pass, commencing at 4,700m and winding at 1,200m. Let’s face it. Solace cyclists with the truth that most deaths relates in cars rather than cycles. 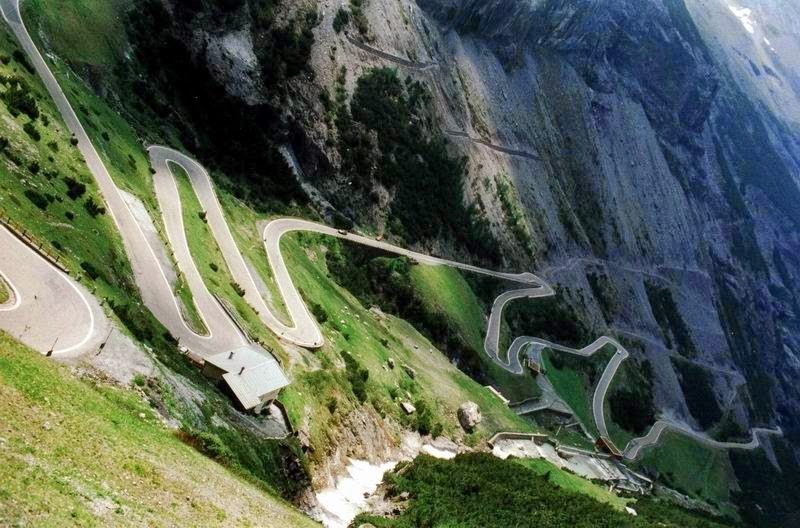 Passo di Gavia, Italy: Passo di Gavia, in the splendid Italian Alps, is 26 km in ride length and climb a massive 2621m. The road is closed in winter due to thick snow. However, the climate can also be really harsh even in warm months. Summer is perfect time to conquer this class race’s hardest climbs. Manali to Leh, India: This extreme ride through the Indian Himalaya is just only for experienced and sufficiently fit cyclists. 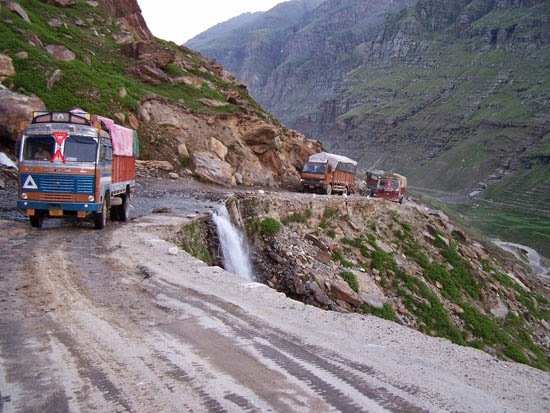 Starting in Manali, the route leads through pine forests, ascending rugged and craggy slopes along dirt tracks and sealed trail, before reaching back switchback nearby Leh. Lake Louise to Whistler, Canada: This journey lasting in many days will take cyclists to an 11km slope in total of 1000 km, traversing the Rockies, heading straight into Canada’s Coast Mountain toward the resort of Whistler. Just thinking about it, travelers may feel backside ache. Cape Epic, South Africa: This off-road classic changes its route yearly, but the theme is always the same. Eight days of ascending mountain cycling through some of South Africa’s the most spectacular and rugged terrain, with 698 km in length and 15 km of slopes, Epic Cape makes La Tourmalet just like a ride in a park. Three Peaks Challenge, Australia: Try on your own, it’s really hard. Australia’s Three Peaks challenge takes place every year. 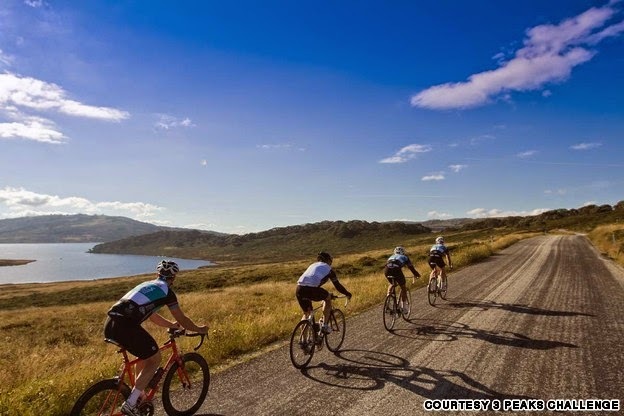 The road contains 235 km in 13 km, crossing Tawonga Gap, Mount Hotham and Falls Creek. To conquer this trail, it is necessary to have professional riders going alongside. Alto de L'Angliru, Spain: Recently, the Vuelta d'Espana has earned a reputation as the most abrupt stage of both famous bicycle races - Tour de France and Giro d’Italia. Alto de L'Angliru, located in the Northern Asturias region, is disputably its toughest climb. 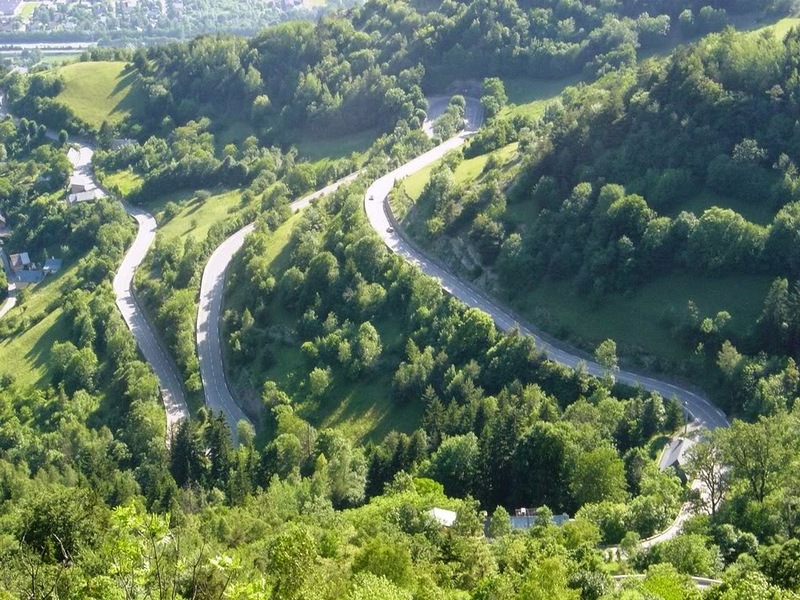 It is just only 12.5 km in length, but the average gradient is a creepy 10.13%.